Our second mail-in radon test results just arrived. We went from 9.8 pCi/L on the first test to 18.7 pCi/L on the most recent. The EPA “action level” for radon is 4 pCi/L, which means we went from over twice the action level to over 4 times the action level. So, instead of travel or a new laptop, we’ll be dropping our tax refunds and “stimulus” check on radon abatement. Radon is bad. It’s the gaseous derivative of Uranium, which exists naturally in the soil. As Uranium decays (a half-life of 4.4 billion years), it creates other byproducts, such as radon and radium. Radon has a very short half-life – only like 24 hours – but the derivatives are just as, well, radioactive. So, when you breath air with radon and the alpha particles released during its decay, you injure your lungs and the precious nodules that trap oxygen and put it in to your blood. The more exposure you have and the higher the concentration (measured in picocuries per liter), the worse. I don’t have the equivilency in front of me anymore (the library wanted the book back), but breathing at 10 pCi/L, you’re exposing your lungs to the cancer-causing equivilent of smoking a pack of cigarettes a day. The chart didn’t say if they were mentholated or not. So now we get to mitigate. My parents recently did this, and they successfully “kicked the habit” by installing a well and active ventilation system that draws radon from the soil and vents it above the house. Since we have an earthen-floored crawl space, we have a few more options, but the likely mitigation will be to install vents and pour a slab of concrete over the floor. I’ll be calling in favors for this part, because it’ll take a bucket brigade to hand carry cement to the opening of the crawl space. Sound like fun? I suppose the positive thing to take away is that our new windows in the basement are doing a good job of cutting down on the the drafts. And to think – when we bought the house we were worried about the furnace leaking carbon monoxide into the crawl space. Too bad there’s not billion dollar industry trying to tell us that radon is safe and non-addictive. See that? 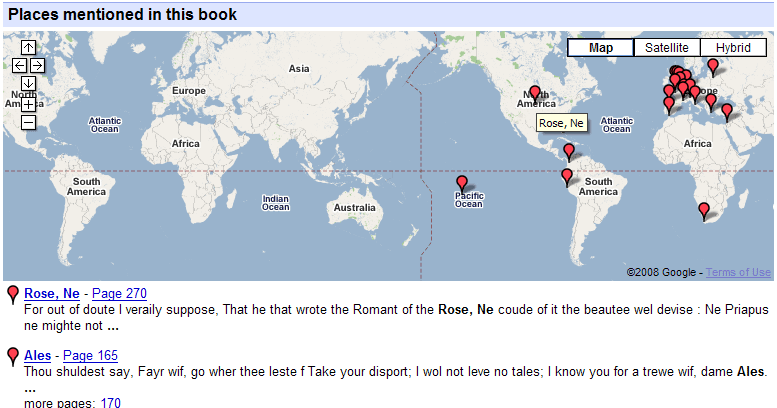 It’s combining olde English and punctuation to get a place name: Rose, Nebraska. I’d say that Google is being geographically hyper-aware. After some serious consideration, I’ve decided to come out against the Rock & Roll Saxophone. 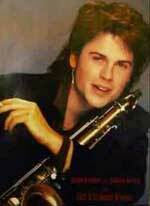 I can only think of one example of an irreplaceable use of the sax in Rock & Roll. Pink Flyod’s Us and Them would probably be 10% less perfect without it. I tried, but I just can’t think of any other examples. I can think of plenty of examples where the sax is just noisy filler. The instrument had some prominence in the 80’s power-rock scene, but I think we now see what a tragic mistake this was. I think its time to just recognize that the saxophone should be relegated to Jazz and Marching Bands. It certainly doesn’t rock. This morning’s ride on the shuttle was really quite boring. Everyone one else was either trying to sleep, or doing some last minute cramming. 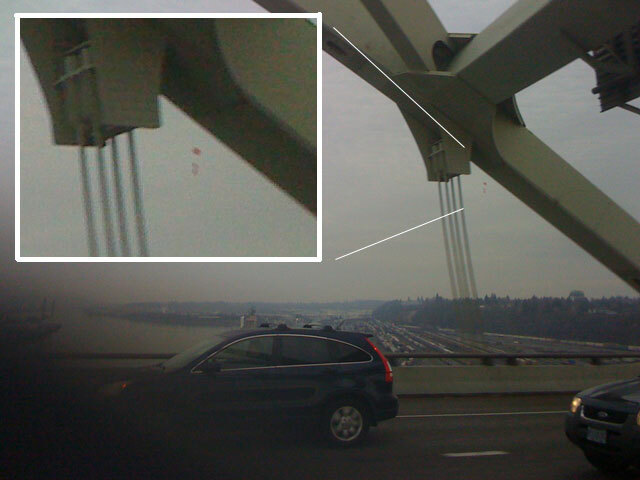 I was looking out the window as usual, when I spotted a balloon while crossing the Fremont Bridge over the Union Pacific yard. Weird, I know. But what was weirder? The red balloon was suspending a Nazi flag. I tried to get a picture with my camera, though it doesn’t do it any justice. Apparently, there was another of these in Tigard on Monday, and apparently someone involved in the creation of these balloons has even posted a few videos on You Tube. Huh. What’s the word I’m trying to think of? Something like the opposite of effective and the opposite of convincing. Posted on March 7, 2008 March 7, 2008 Categories blahblah4 Comments on Sieg Helium?